Heroes Night Out - C.R.A.F.T. Note: This is a sponsored post for The Home Depot Foundation, as always, all thoughts and opinions are my own. Team Depot is one of my very favorites to work with, I mean I get to craft and/or build and help others all at the same time?! It doesn’t get much better than that. 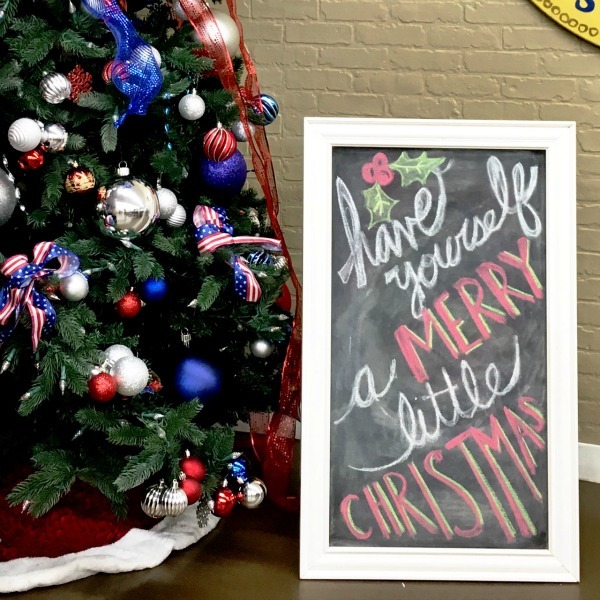 I delivered this free standing chalkboard to Heroes Night Out, and was blown away by how much this non profit helps my local community, specifically veterans and their families. 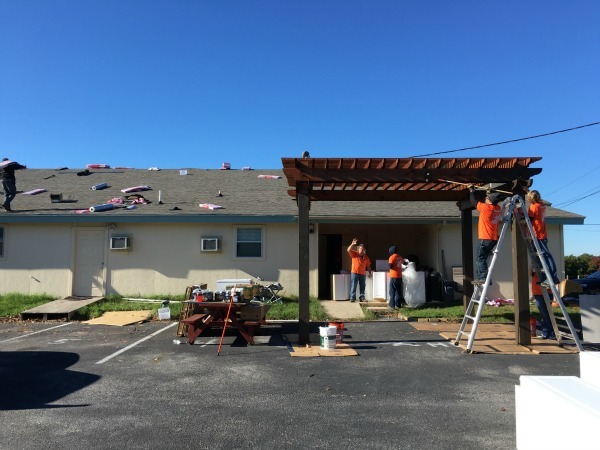 The day I delivered the gift, Team Depot was on site giving Heroes Night Out a new roof, new cabinets and stove in their kitchen, and staining their pergola. I’m always pretty amazed when I hear that Team Depot is an associate led volunteer work force that takes on projects of all sizes to help better lives of veterans in their communities. 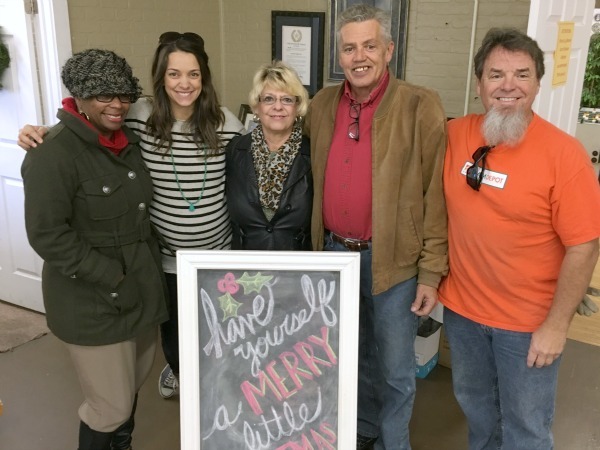 I’ve worked on some huge projects, like this one in Houston, where 10+ Home Depot stores came together and I’ve also worked on smaller projects where one local store is helping one veteran family, like this one with Mr. Hutchinson and this one with The Joneses. Wes and Judy Pierce are the founders of Heroes Night Out, and I had the opportunity to chat with Judy about why they started their organization. They have 12 children, and 5 of them have/are serving in the armed forces. But, Heroes Night Out really began when they went to visit their sons recruiter in the hospital who was recovering from a leg amputation. On that hospital visit, they heard about a family in need, and gave the veteran a Chuck E. Cheese gift card so that he could take his kids out for a fun evening when he recovered. That gift card in 2008 led to many other gifts cards, which led the Pierces to formally form a non profit and create a Veterans Resource Center, focused on family, called Heroes Night Out. You can see Wes and Judy in the middle of the group below. 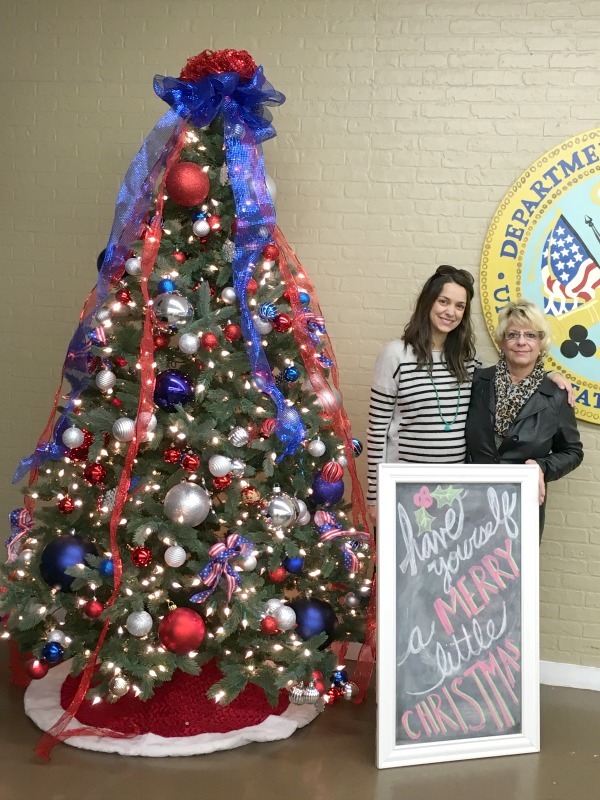 Oh and how awesome is Heroes Night Out’s patriotic Christmas tree?